Buying a new car has always been a major part of the historic model of vehicle use. In America, the act of buying a car is so deeply ingrained that a person's first car purchase is a major milestone in his or her life. Now, however, an entirely new model of car use is emerging: vehicle subscriptions. Though it may seem like an odd idea to subscribe to a vehicle, the model has several advantages and seems to be gaining traction among younger consumers. Here's what you need to know about the vehicle subscription model that may one day have you subscribing to your car, rather than actually buying it. What is a Vehicle Subscription Service? A vehicle subscription is, as the name implies, a service that allows you to use a vehicle for a certain preset fee each month. This service can be offered either directly by a manufacturer or by a third-party provider. In exchange for the monthly fee, subscribers can take their pick of a range of different vehicles offered by the service provider. Depending on the program, vehicle choices can range across classes and even brands. Vehicle subscription services are somewhat similar to leases in that they allow you to use a car without actually purchasing or taking ownership of it. However, there are some important distinctions between the two. A lease is typically a long-term arrangement for the use of an individual automobile, while many subscription services will allow you to switch between available vehicles when you want to. Subscriptions also don't include the initial expenses of signing up for a leasing agreement. Most do, however, charge a one-time initiation fee for their services. What makes this fee different from leasing fees is that it is truly a one-time only charge, rather than a charge that recurs with each individual vehicle borrowed under a subscription plan. The most important difference between a subscription and a lease is the fact that, in most cases, the fee you pay for a vehicle subscription service covers all of the costs associated with using the vehicle. 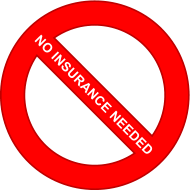 This means that, with one payment, everything from insurance to maintenance is taken care of. The exception, of course, is gasoline, which you'll still have to pay for separately as needed. Since the subscription cost is also flat and not open to changes, a subscription service even saves you the trouble of attempting to negotiate the pricing of your vehicle when buying or leasing. Most vehicle subscription services are arranged via smartphone apps, which users can log into to pay their fees or switch out their cars when they want to. Like other aspects of the subscription model, this feature helps to make the process of using a car more convenient. Since most people have their phones with them all day every day, users can log in to conduct whatever business they need anytime that suits them. Where Can You Access These Subscription Services? Like many new business models, vehicle subscription services haven't spread very far beyond densely populated urban areas yet. Major cities, including New York, San Fransisco and Los Angeles, have been the proving grounds for the subscription model, which is still relatively new. If you live in or around a larger city, you should be able to find a subscription car service that can cater to your needs. If you don't live near a major city, you may not be able to access vehicle subscription services--yet. As the model of subscribing to vehicles rather than owning them becomes more popular, it is expected that the availability of the service will grow fairly quickly. Already, dealerships in places such as Virginia and North Carolina are beginning to experiment with the subscription model. If such ventures are successful, there will likely be a push to bring subscription vehicle services to wider audiences of consumers. Although the idea of subscribing to vehicles is gaining traction, not all automotive manufacturers have embraced it thus far. Even those that have are still fairly new to the concept, meaning that their programs will likely expand and improve over time. If the model proves to be a successful money-maker, though, other manufacturers will almost certainly begin creating their own programs that will allow customers to subscribe to their vehicles. Of the companies that are beginning to explore the vehicle subscription model, Ford is without a doubt the largest brand name. 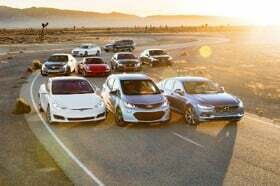 The company's subscription service, dubbed Canvas, is by far the most cost-effective option offered by the automotive manufacturers. Plans through Canvas start at as little as $400 per month, though prices can be higher depending on exactly which vehicle a given subscriber chooses to use. Ford keeps the costs of the program down by offering lightly used late-model cars, rather than brand-new units. Under the Canvas program, subscribers can keep the cars they're subscribed to on a constant basis, making it a closer analog to true car ownership than some other vehicle subscription services. Cadillac has also jumped into the subscription automobile world by offering its BOOK program. Unlike Ford's Canvas, BOOK caters more to the upper end of the vehicle market, a nod to Cadillac's reputation as one of America's leading luxury vehicle manufacturers. Subscribers of BOOK can access any one of several top-end Cadillac models, including the Escalade and the XT5. 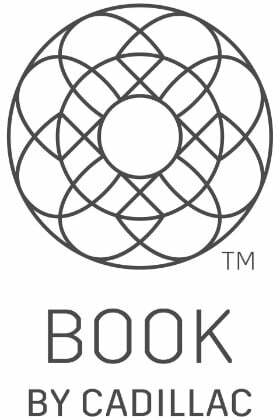 BOOK allows users to switch vehicles whenever they want to, and even makes the process easy by arranging concierge pickup and delivery, rather than requiring subscribers to drive the vehicles they're using to a central location to trade them out. As one might expect, Cadillac's subscription service is considerably more expensive than Ford's. BOOK charges $1,800 per month, plus a one-time fee of $500 for new subscribers. Though this is rather expensive, the plethora of vehicles available and the service associated with the program do make it appealing to those who can afford it. Cadillac isn't the only luxury car company getting into the subscription service space. Porsche has also begun offering its vehicles on a subscription basis under a program it calls Passport. The Passport program caters heavily to the upper end of the market, allowing users access to a total range of 22 individual Porsche models. Owing to this variety and the quality of the vehicles involved, though, Passport ranks among the most expensive of the vehicle subscription services, with rates ranging between $2,000 and $3,000 each month and a $500 initial fee similar to BOOK's. Despite the exclusivity generated by its price tag, Porsche, which already marketed its vehicles primarily to high-income buyers, sees the Passport program as a major part of its business strategy for the coming years. Rounding out the list of manufacturers that are participating in vehicle subscription is Volvo. The program, simply called Care by Volvo, is still in its very early stages and will not become active until next year. At present, only one vehicle, the 2019 XC40 SUV, is known to be included in Care by Volvo. However, once it begins to expand with other offerings, Volvo could present an effective middle ground between Ford's relatively affordable Canvas program and the pricier BOOK and Passport programs. The monthly charge for the XC40 will be $600 with a one-time $500 deposit. It is not yet known if future offerings from Care by Volvo will be priced at the same level. Though vehicle manufacturers seem to be developing a considerable interest in offering their cars under a subscription model, they are not the only ones hoping to capture customers interested in simple, monthly fees for automobile usage. Third-party service providers are also entering the market. Germain Auto Group, for instance, leases a variety of models from several different brands for a flat rate of $1,000. For an extra $400, customers gain access to an upgraded package that offers more luxury models. The vehicles subscribers can access through a Germain subscription range from Ford F-150 trucks to Audi Q7 luxury SUVs. Another intriguing model of vehicle subscriptions is that offered by Mobiliti, which plans to use extra inventory from automobile dealerships to fuel the needs of its customers. Under the Mobiliti plan, subscribers pay different monthly fees, depending on the type of vehicle they're driving. Once a month, however, a vehicle switch is allowed, with additional switches being allowed for an extra service charge of $99. Though not as flexible as some other subscription services, Mobiliti will allow customers to access a wider range of vehicles than most of its competitors. Provided the company can find enough dealerships to partner with, it eventually hopes to be able to offer 200 or more individual models to its subscribers. Some subscription services are also trying to cater to users who may not need subscription cars on a full-time basis, but instead would like to be able to borrow a different car for short periods of time. Flexdrive, a service created by the parent company of the famous Kelley Blue Book automotive value guide, offers subscribers a model under which they pay only for what they use, rather than paying a flat fee on a monthly basis. Cars borrowed through Flexdrive can be used for as little as a week. If a subscriber chooses not to use a car during a given week, he or she will not be billed for it. Though the trade-off for services like Flexdrive is a higher price by the week than users would pay under monthly subscription agreements, they're extremely useful for people who only plan to borrow cars occasionally. 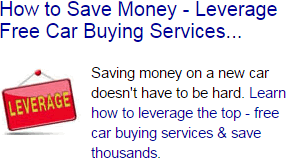 The strength of these third-party services lies in their ability to offer their users cars from more than one brand. Cadillac BOOK, for instance, may be a perfect program for a person who genuinely loves Cadillac models. For someone who wants more variety, on the other hand, a manufacturer exclusive subscription service may not offer the highest level of value. For this type of customer, third-party services have a great deal to offer. Who Is a Vehicle Subscription For? Though the model is certainly innovative, vehicle subscriptions aren't the right solution for everyone. At the moment, they're best suited to upper and middle-income customers who may have different vehicle needs at different times. A professional who usually needs a smaller, more fuel-efficient car for commuting in a large city but who would prefer a larger SUV for taking vacations is a good example of a customer to whom subscription services offer real value. Similarly, if you just enjoy variety and would like to drive a different car on different occasions, keeping up a subscription will be more economical than actually buying, maintaining and insuring several different vehicles. Vehicle subscription services, though potentially useful for many different types of customers, are especially targeted to Millennials. The ease of having only one payment to keep up with makes them much more convenient for busy young people than the traditional model of dealing with a car payment, insurance and whatever maintenance costs may arise. Since Millennials have shown themselves reluctant to negotiate to get better prices when buying cars, the fixed-rate feature of the subscription model also tends to appeal to these younger consumers. Who Won't See Value From a Subscription? Like leasing, subscription services will likely have a massive impact on the automotive industry, but that doesn't mean that it will be the best option for every consumer. People who enjoy customizing their vehicles, for instance, likely won't be drawn to a model in which they aren't allowed to do so by virtue of not actually owning the vehicle in question. 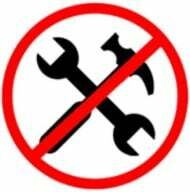 Unfortunately, this closes the subscription model for many seasoned auto enthusiasts who see their vehicles as very personal possessions and like working on them themselves. People who have young children or pets may also prefer to keep owning vehicles outright, as cosmetic damage to a vehicle's interior could incur extra costs under a subscription agreement. The subscription model may also not be the best choice for people who drive extremely long distances on a regular basis. Though it varies by program, many subscription agreements have a mileage limit built into them. Going over that limit will cost extra money, just as it does in a standard lease agreement. For people who may drive hundreds or even thousands of miles each month for business purposes, such a limit can be both costly and inconvenient. However, certain subscription services may still provide some value for such customers under the right circumstances. For traveling business leaders and executives, for instance, it may be useful to be able to access luxury vehicles for business functions once a destination has been reached in a car that is dedicated to long-distance travel. Will the Subscription Model Catch On? Because the idea of subscribing to a vehicle is still a relatively new one, it's hard to predict exactly how much room it has to grow and how much interest consumers will have in it. Some hint at its potential, however, might be gained by looking at the broader industry of mobility services. To meet the demand for its services, the ride-hailing service Uber had to double its number of drivers between 2014 and 2015, and even more growth has occurred since. 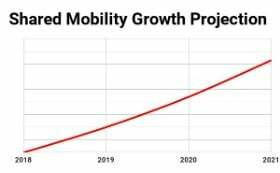 The growth rate of shared mobility models, similar to subscriptions, is expected to reach 20 to 30 percent per year in the coming years. Though not a direct reflection on the status and viability of subscription vehicle services, these statistics certainly show that similar attempts to disrupt the traditional model of car ownership have found an interested audience of consumers. Despite the positive outlook, it isn't likely that subscriptions will ever entirely replace car ownership. According to recent studies, 63 percent of Americans aren't interested in shared vehicles, preferring instead to stick to a more standard model of owning their cars outright. This being the case, there will almost certainly still be a place for car purchases in the automotive industry of the future. Where Will They Fit Into the Wider Market? With a growing share of consumers looking to new alternatives to car ownership, subscription services could fill an empty spot in the future automobile market. By combining some of the consistency and convenience of vehicle ownership with the flexibility of mobility services like Uber, vehicle subscriptions could be seen as a middle ground between the two. Younger consumers and professionals, in particular, may find it attractive because of the convenience of being able to make only one monthly payment in order to use and maintain their vehicles. In time, these three models will likely combine to offer consumers the widest range of choices in how they access automobiles. Rather than taking over the industry, vehicle subscriptions could provide some much-needed flexibility for the next generation of drivers. So, while you may not necessarily decide to subscribe to your next car instead of buying it outright, there's a very good possibility that you'll have the option subscribe if you want to.